Bobbysue Kobren has been making her family’s fantastic, generations-old recipe for spiced nuts – crunchy almonds, cashews, and pecans coated with a delicate meringue, and lightly roasted with a bit of sugar, and a special blend of spices – for years but waited until 2008 to follow her entrepreneurial spirit by opening Bobbysue’s Nuts in Chappaqua, New York. 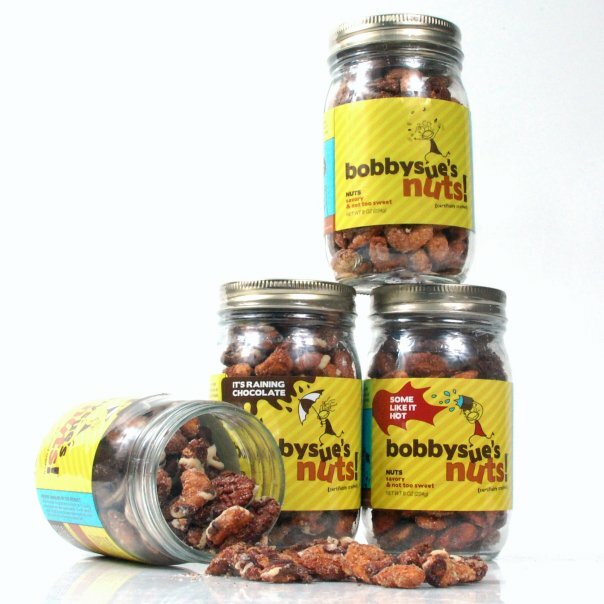 Savory, slightly sweet (but not too sweet), Bobbysue’s Nuts are addicting: it’s impossible to open a jar and eat just a few nuts because one taste of these scrumptious nuts leaves you wanting more…and more….and more. 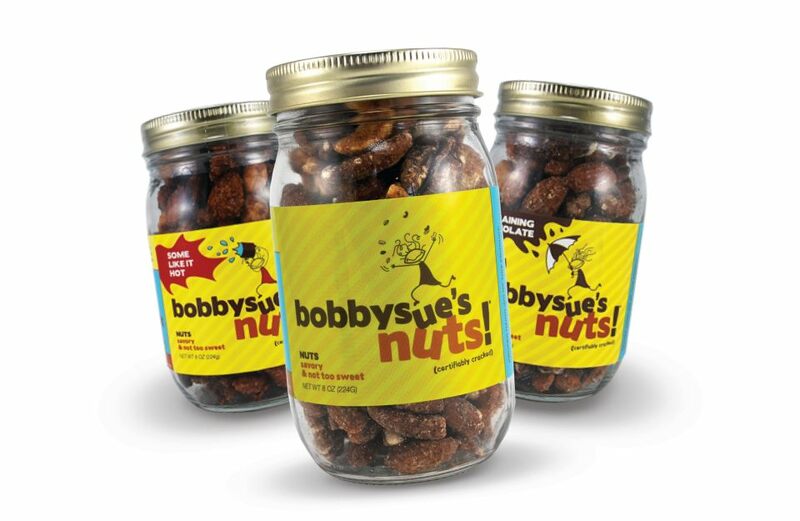 Bobbysue’s Nuts come in two varieties: Original and Some Like It Hot, with the only difference being the perfect amount of kick in the Some Like It Hot version. Both varieties are sold in four sizes: a 32-ounce jar ($36), an 8-ounce jar ($10), a 2-ounce jar ($3.75), and a 2.5-ounce grab and go packet ($3.49). The company also produces a seasonal variety aptly called It’s Raining Chocolate with chocolate drizzled over the nuts. 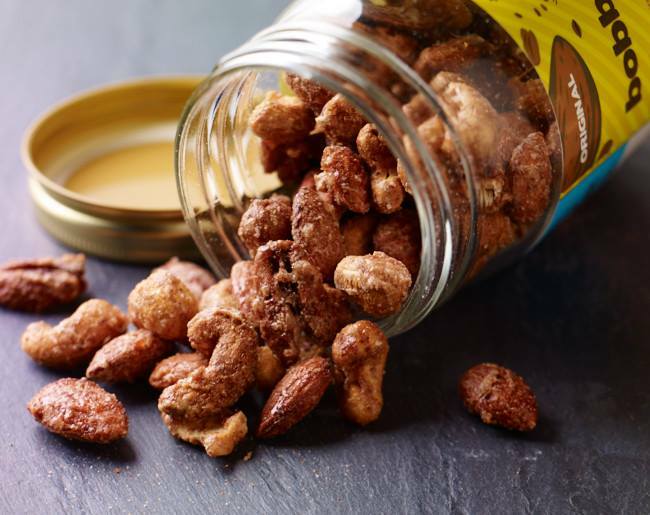 Nutritionally, Bobbysue’s Nuts are made in a gluten-free facility with all natural, non-GMO ingredients. 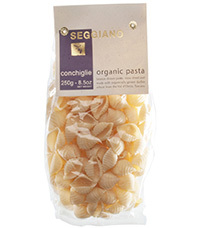 The egg whites are organic, as is the chocolate used in the It’s Raining Chocolate variety. There are no preservatives, oils, artificial colors or flavors used. The all natural, non-GMO, pure cane sugar added is minimal with each serving containing 5 grams. Available at select locations at fine retailers including Giant, Fairway, Kroger, King’s, Fred Meyer, Stop & Shop, Balducci’s, Murray’s Cheese, Whole Foods, Nordstrom’s and more. 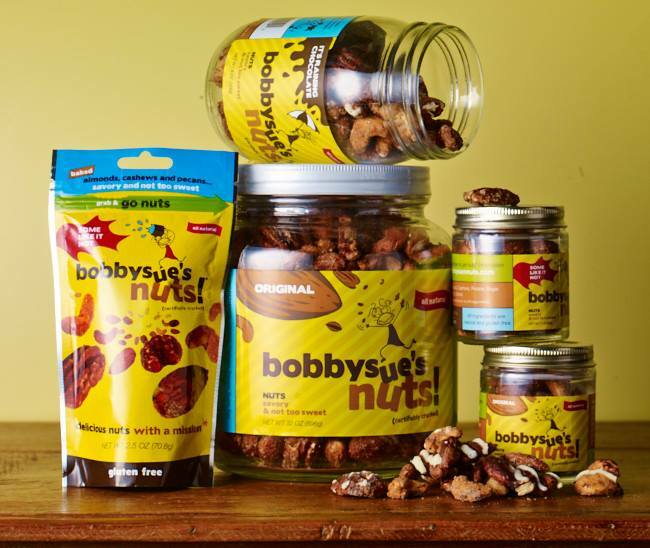 See the company website to find a location near you or to order on-line: www.bobbysuesnuts.com.